The education system uniforms are divided into two categories: teacher clothing and student clothing. In the society and in front of the students, the teachers are the model of "being a teacher" and demanding a grand and friendly party. School Uniform Fabrics chooses CVC (Vylon/cotton blend), cotton fabric, high-brown camel silk, enamel, slate and other fabrics, which are comfortable, natural, moisture absorbing and breathable. Student clothing should reflect the youthful and energetic side, suitable for their lively and active characteristics of this age. School Uniform Fabrics mostly use T/C (polyester/cotton blend), knitted fabrics, low-brown enamel, blended gabardine and Imitation wool series, etc., requires fabric anti-wrinkle, wear-resistant wear, good shape retention, easy to care. 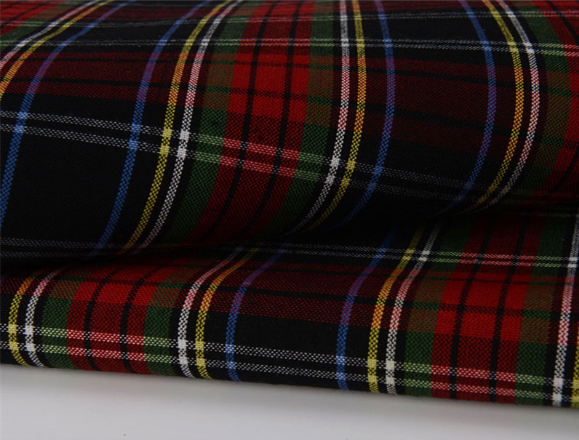 We are School Uniform Fabrics Wholesaler and we will give you a professional opinion based on your needs. Previous: What Are The Benefits Of Professional Uniforms? Next: What do you know about the Suiting Fabric?